We are looking for teams of 4-6 people to volunteer on a one-time basis for a few hours. Your team can be made up for co-workers, friends, family, fellow service club members, team mates etc.. Your team will be given matching aprons and an opportunity to have your organization recognized for the volunteer work via social media. 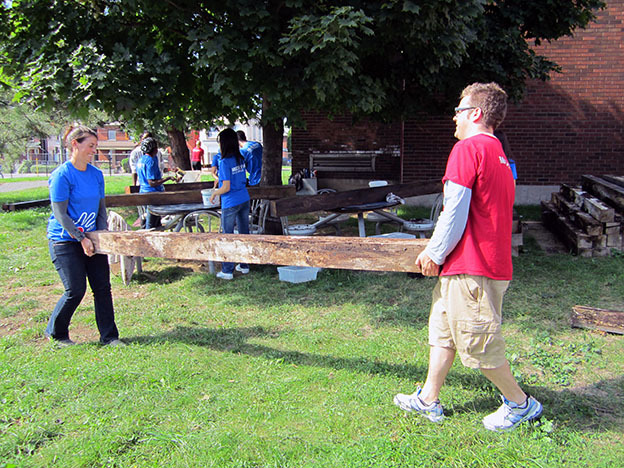 Get your team together and sign up for a BLITZ project today. Come back to find a list of BLITZ projects coming soon!